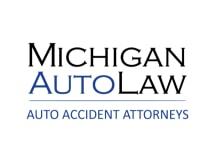 More than 60 years ago, the law partners at Michigan Auto Law, began offering the highest level of quality legal representation and client service for people who suffered an injury or lost a loved one in truck wrecks, motorcycle crashes or auto accidents on Michigan roads and highways. Today, the firm has built a reputation for being among the pre-eminent motor vehicle accident litigation firms serving clients in Grand Rapids and throughout Michigan. The law firm has recovered more million-dollar settlements and jury verdicts than any other Michigan auto accident litigation firms and has been listed in "Top Year-End Verdicts and Settlements" for 17 consecutive years in Michigan Lawyers Weekly. The prestigious legal newspaper has also called the firm, "Arguably, the best in the business." The firm is proud of its reputation for quality representation and results, backed by the highest levels of compassion, responsive communication and client service. As a commitment to clients and the legal profession, the law firm offers annual scholarships, including a diversity scholarship for law school students and a car accident injury survivor scholarship. Hours for a free consultation at their Grand Rapids office are from 9 a.m. to 5 p.m. weekdays. Evening and weekend consultations may be arranged by appointment. If you are unable to travel to their offices, an attorney may be available to meet with you at your hospital room, home or office. The law firm accepts all car, truck and motorcycle accident cases on a contingency-fee basis. You will not pay attorneys' fees unless you recover money in a settlement or jury award. We are the leading and largest law firm in the state that exclusively handles car accident lawsuits. We consistently secure the highest verdicts and settlements in Michigan each year on behalf of accident victims like you. We have more that 50 years of experience protecting people like you, who have been injured in a serious truck accident. We have recovered the largest reported truck accident jury verdicts and settlements in Michigan and we are here to help you too. The Michigan motorcycle accident law has many exceptions. It is different than those for car accidents or truck accidents. We can help motorcycle accident victims and their families better understand motorcycle insurance laws. Here is some advice from experienced attorneys on what you'll need to have a successful case. Contact our firm for a free consultation.